This is the time of year when power companies (at least the responsible ones) help their customers with tips on keeping their homes warm. Some are simple and almost free. Others will cost you something, but you can easily recoup those costs with energy savings, especially if they can be used for more than one year. One simple one is a “draft stopper” which involves wrapping up a towel with duct tape and pushing it against the bottom of an exterior door. The expansion of the towel into the opening fills the draft space and the coating on the duct tape almost completely stops the air flow. Click here for some more tips. (Thank you WKBN News). Booths and displays in high traffic areas get dinged and bumped into and it can be a challenge to keep things looking fresh, particularly when a show runs for several days. Cameras and audiences can quickly be distracted by a shop worn or damaged set piece is in plain view. Quick color matched repairs can be achieved with colored gaffers tape and nothing is released into the air when you do it. 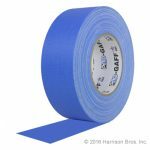 Here is a link to gaffers tape in over 19 different colors and four different widths. We’re all familiar with Jacob Marley, the character from Charles Dickens’ A Christmas Carol. 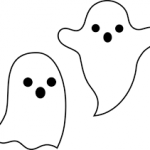 Marley is that ghost that confronts Ebenezer Scrooge. He is the one that introduces him to the Ghosts of Christmas Past, Christmas Present and Christmas Future. We’re confronted with the Ghost of Marley almost every day, but when we say “Marley” we’re talking about a vinyl dance floor. Marely is a “ghost” because the company that made Marley branded floors has been out of business since 1978. Customers regularly call looking for tape for their Marley floor, even though we know that they don’t have a floor that was actually made by Marley. They’ve been gone for decades. Fortunately, for them, our vinyl dance floor tape will work on all portable vinyl dance floors. Yes, we do speak Marley.